Descent 261 should have reached subscribers and shops by now! If you’re not a subscriber, we hope this short round up will whet your appetite and send you over to Wildplaces Publishing to get your copy, or if you’re lucky enough to have a caving shop anywhere near you, call in and get a copy from them. We run these articles because we genuinely think Descent is fantastic, and we want to spread the word as far as possible. And if you or your club have a caving publication you’d like us to cover so it can reach as wide an audience as possible, or a book, a journal or a newsletter, just get in contact and we’ll do our best to help! 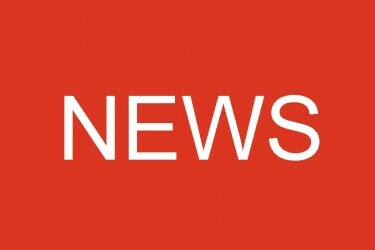 Newsdesk is a great way of staying up to date with news at home and abroad with a multitude of short and fascinating news pieces. There’s a piece about the caving world’s latest organised get-together – Cavefest – happening on Mendip from 4 – 7 May, based at Priddy. There are lectures, a photo competition (with prizes) and lots of caving trips! The event incorporates DigFest, which gives you the chance to have a nose at what other people are up do. There’s a clean up scheduled for this summer in the Gouffre Berger in France, with up to 300 cavers expected to take part. A study of bats in Texas has led to interesting insights into their behaviour, and in Africa, some caves are home to mutant crocodiles who are evolving and adapting to a life underground. In Austin, Texas, there’s been a collapse into an enormous section of cave passage, and in colder climes, there’s a warning of some of the dangers you might encounter in Iceland’s ice caves. Anyone interested in cave art will like the note about recent studies in Spain where dating work has pushed the likely date for the art back into the Neanderthal period and another study in Spain tells us something about Neanderthal social life. For anyone who has a calendar-sized gap on a wall, look no further than the one produced to mark 25 years of caving in the Abode of the Clouds in Meghalaya. Only £6 including postage within the UK. Closer to home, the BCA will be undergoing a change of chair at the forthcoming AGM as Andy Eavis is stepping down after six years in the role. BCA are also looking for a new insurance manager. Lancaster University Speleological Society (LUSS), which shut down some years ago, is undergoing a reboot, and will soon be active again. Also in the north, Bernie’s Café has changed hands again and is now in owned by Cave & Canyon UK. It opened again in February after a refit. Down south, there’s been a reappraisal of Cheddar Man, discovered in Gough’s cave in 1903, and recent DNA work has told us more about this iconic figure. For anyone going abroad, there’s a warning about problems encountered with caving kit at airports. There’s sad news from Chile of the destruction of ancient cave paintings by vandals. If you’re looking to practice your SRT skills in an overground environment, check out the Rallye Speleo de la Basilique in Belgium. In happier news, Jenny Potts has been made an honorary member of the Derbyshire Caving Association for her many services to the association. You’ll find all this and much, much more in Newsdesk. This really is only a very short taster of what’s on offer. In news from around the regions, there have been interesting developments in Jingle Pot which prove that even well-known caves still have something new to offer. CNCC have opted out of a longstanding access agreement with the Langcliffe Estate, covering Dale Head Pot, Penyghent Pot and some other caves. CNCC believe the agreement was obsolete for a number of reasons. In Wales, there’s news of conservation work in Ogof Draenan and a reminder not to use the Twll Dhu entrance to the system. Cadw still intend to permanently close this hole. In OFD, a laser scan has been undertaken in Big Chamber Near the Entrance as part of a training exercise, and talking of training, the CDG’s annual training camp will be taking place on 1 June for a weekend based at the SWCC cottages. On Mendip, the CSCC are changing the padlocks on the various caves for which they administer access, but while the changeover takes place, you are advised to take both the old and new keys with you. Work continues at various digs and in more unusual news, there’s now a book of poetry featuring Mendip’s subterranean landscape written by renowned poet Sean Borodale. Over in Ireland, a new Irish Speleology is now out, and in Scotland, work underground has possibly shed some light on when rabbits first arrived in the region. In International News, you can read about limestone in the Darien region of Panama and see a round up of India’s longest and deepest caves. Many cavers will remember the difficult rescue in 2014 from the Riesending, Germany’s longest and deepest cave. 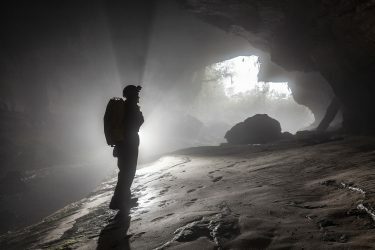 David Rose provides a personal account of his recent trip down the cave, and the article is accompanied by an excellent representation of the elevation of the cave, which straddles two pages and makes it easy to follow progress through its various challenges in an impressive six-page spread. Closer to home, there’s a piece on exploration work in Pearl Mine on Mendip, the runner up in the 2017 JRat Digging Award. Further north, there’s news of work in Crystal Inlet in Rift Pot on Ireby Fell. Across the Irish Sea, archaeologist Marion Dowd gives an overview of cave archaeology in Ireland. In the Northern Pennines, a landowner has been taken underground to see his cave, and there’s a report on the work being undertaken in the Peak District by the TSG in Longcliffe Mine. 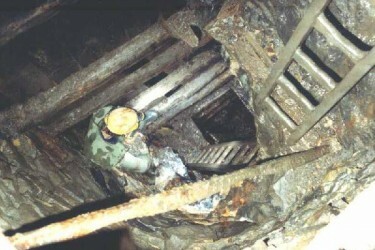 To round the issue off, there’s a piece on the successful weekend held in London in December 2017 to celebrate 50 years of British caving achievement at home and abroad, followed by Alan Jeffreys reminiscing about an unusual brush with the law some years ago. 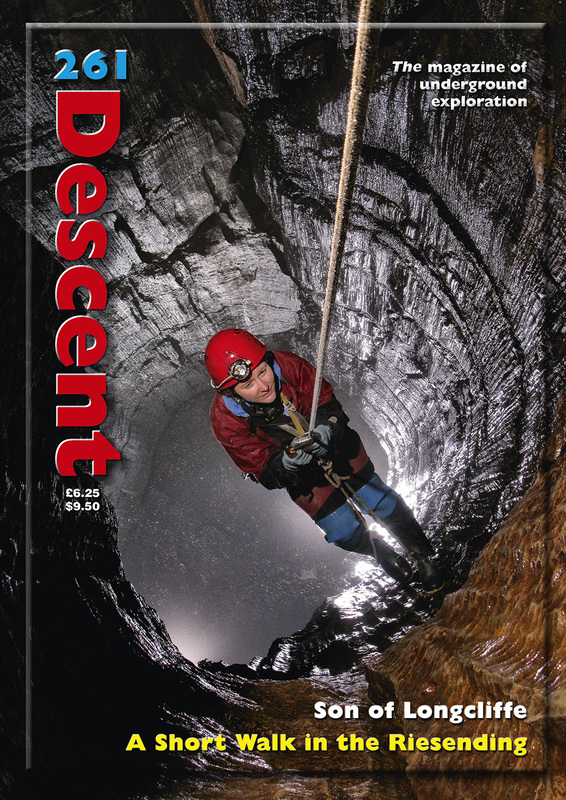 The front cover features a stunning shot of Roxanne Ramsay in Heron Pot, Kingsdale by Paul Swire and the back cover shows a descent in Gradisnica, Slovenia by Peter Gedei.